Hi, my name is Yovita, and I am a certified yoga instructor in Hatha (Yogapoint) and Ashtanga (Yoga Inbound)Yoga, with over eight years of experience studying and teaching this unique philosophy and a form of living . 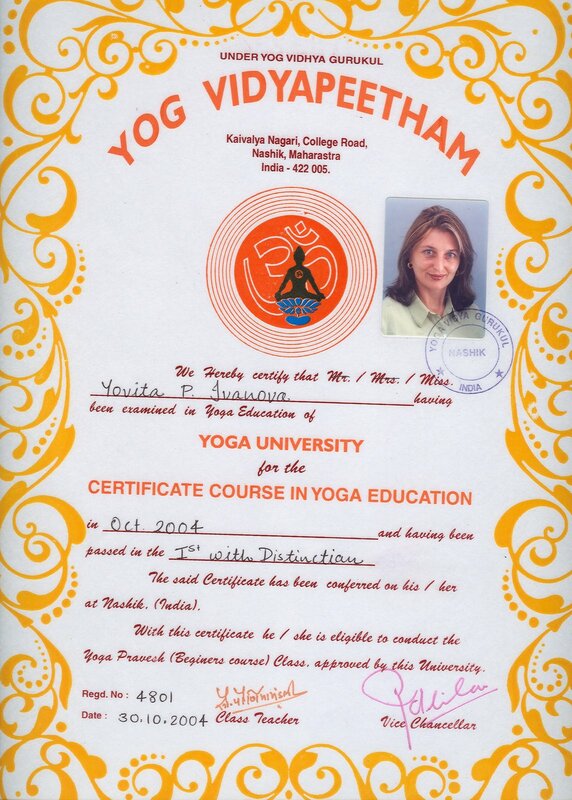 I began practicing yoga while living in Cyprus back in 1998, and have since then continued a serious and dedicating practice in various schools in Europe, Asia and the Americas learning from some of the most important contemporary yoga masters (Swami NiranjanandaSaraswati, Santhanam, Elisa Cardoso, B.J. Galvan, Chantanya Das and others). After practicing Iyengar, Ashtanga, Anusara, Bikram, Acroyoga and Shivananda Yoga styles, I had the urge to find the roots of Yogic wisdom and I traveled to India where I had the unique opportunity to learn Asanas, Pranayama, Meditation, Kriya Yoga and Patanjali’s Yoga sutras from some great Indian gurus and swamis. Studying the ancient traditions deepened my understanding of yoga, allowing me to appreciate fully the basic principles underlying the forms of yoga I’d been practicing for years. As a result, I have come to understand that the different varieties of yoga are essentially components of a single system, each with its specific effects and benefits. I have found balance, peace and purity with Yoga, and this is what I strive to share with my students. I teach my students that Yoga is all about gaining a full awareness of body, breath and mind. The awareness will bring control and the control will bring grace, peace and balance in your everyday life. I called this web site YogaVita in a dedication to Yoga as an art of living and also as an indispensable part of my life style. I hope you will enjoy my classes.